An acquired taste for some, but very popular on the streets of Puerto Maldonado. 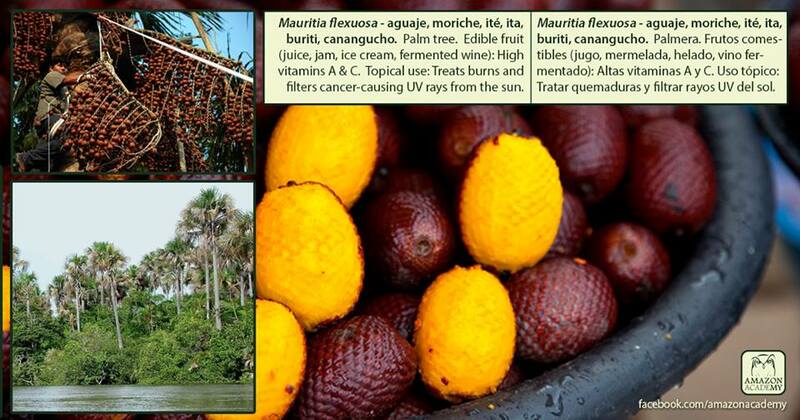 We love aguaje (Mauritia flexuosa)! A favorite for macaws and humans. The unmistakable call for “aguaje, aguajina…” is shouted by sellers across urban markets in the Peruvian Amazon. The palm grows in Trinidad, Colombia, Venezuela, Guyana, Suriname, French Guinea, Brazil, Ecuador, Peru and Bolivia.